We operate a regular, door-to-door service between the Costa Blanca, Costa Calida and the UK. 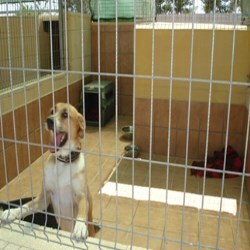 Our aim is to always provide a professional, caring, safe and comfortable service for your pets. 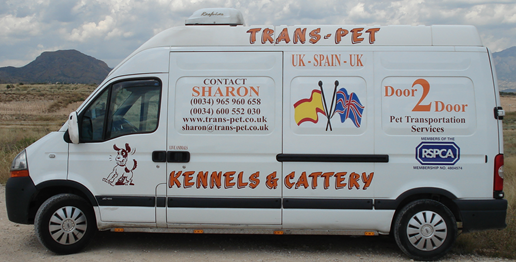 We are a family run business who have been involved in pet transportation for over 17 years. We have had pets ourselves for most of our lives and understand how important they are as part of your family. All our drivers have pet care experience and are professional couriers that have had many years experience driving throughout Europe. We pride ourselves in the fact we are fully approachable. For more information on any of our services please feel free to contact us. We are more than happy to share our knowledge regarding any aspects of pet transportation as we regard ourselves as experts in this field. We operate a professional and efficient overland transportation service via the Euro Tunnel. Our fleet of specially adapted vehicles, which have their own climatic controls in addition to the standard heating and air conditioning systems, ensure that your pets are always in a very comfortable environment throughout their journey. 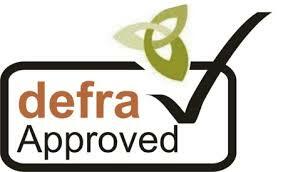 We also cover all legal requirements and provide a full Animal Passport service. We are based on the Costa Blanca about 15 - 20 minutes from Alicante airport but we have a collection service in place, and we can collect your pet from your home anywhere between Valencia and Almeria and then transport it very comfortably to anywhere in the UK. A complete door to door service. 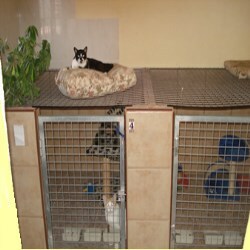 All pets are carefully monitored throughout their journey, and are under constant supervision. 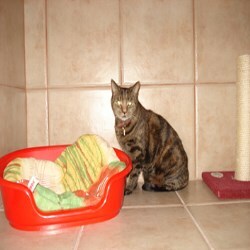 We also give regular exercise and comfort breaks to assist your pet in a stress free journey.